XCMYK is a new expanded-gamut printing method that yields a much wider color gamut than regular 4-color printing. For example, Digital printers can simulate XCMYK using ICC profiles, so long as their printing system has a color gamut equal to or greater than XCMYK. 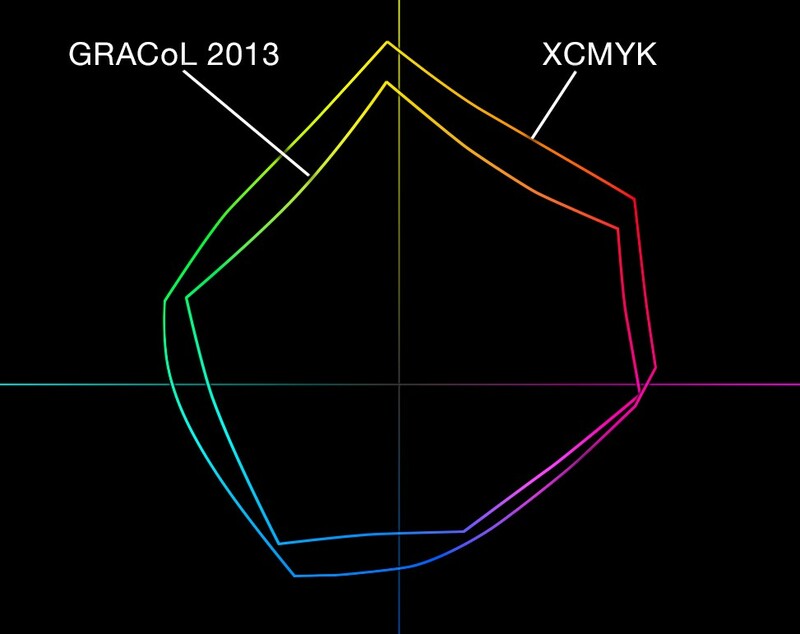 XCMYK research and development was conducted by the GRACoL Working Group and a special task force of more than 100 professionals from 88 companies, over a 15-month period in 2015-2016, and involved 26 test sites around the world, including Hong Kong, China, Singapore, Malaysia, Pakistan, Canada, and the United States. XCMYK, requires a higher level understanding of color and printing methodology. Idealliance has many resources, educational, and certification programs available to help global industry individuals and facilities greatly expand their knowledge and expertise.